Last week, for the first time, every potential deportee on the local immigration team’s docket was represented by an attorney. But that’s where Rodezno and her colleagues come in. The public defender’s immigration attorneys offer their services to unrepresented men and women in the process of being deported. Like winning the lottery, it’s a wholly random process — and, often, an unexpected and out-of-the-blue stroke of luck. So, yes: Men and women slipping down the greased skids of the nation’s deportation machine are asked, randomly, if they’d like to be represented by a top-notch immigration attorney. For free. You’re not going to believe this, but people tend to say yes. And, on June 26, for the first time in the brief existence of the city’s expanded immigration team, every last person on an immigration court docket was represented. It was, for Ugarte, an exhilarating sight. The clients, several of whom appeared via video from the West County Detention Center in Richmond, were notably more at ease than usual, with attorneys sitting beside them in the East Bay jail. Those attorneys were feeling pretty good, too. Hector Vega, a 30-year-old from San Jose, was also hired last month. He’d spent years representing immigrants as a private attorney, which was satisfying — until it wasn’t. When Public Defender Jeff Adachi made his initial ask for an immigration unit to protect vulnerable would-be deportees in Donald Trump’s America, skeptical members of the San Francisco Board of Supervisors sniped about how he brought along a documentary filmmaker with him. Well, that sounds about right. Adachi can be theatrical, if need be. He is not shy. And he is not about making pals. He’s about getting the money to hire lawyers to represent clients and that’s what happened. In 2017, his office secured $872,000 for an immigration team, and, this year, received $1.9 million (that’s enough to bring in a cadre of lawyers and paralegals but, don’t forget — San Francisco spends some $1.19 million a year on toilet paper). The city now has more boots on the ground in this fight — but the Jeff Sessions Department of Justice has altered the terrain, and it’s now more of an uphill battle. Prosecutors now no longer have the discretion to close even a weak case, forcing defenders into lengthy proceedings. Immigration judges have been given quotas, encouraging rapid proceedings. Judges also are no longer permitted to delay a deportation case while a separate visa petition is proceeding — leading to the very real possibility of a visa being awarded to a man or woman who has already been 86ed from the United States. 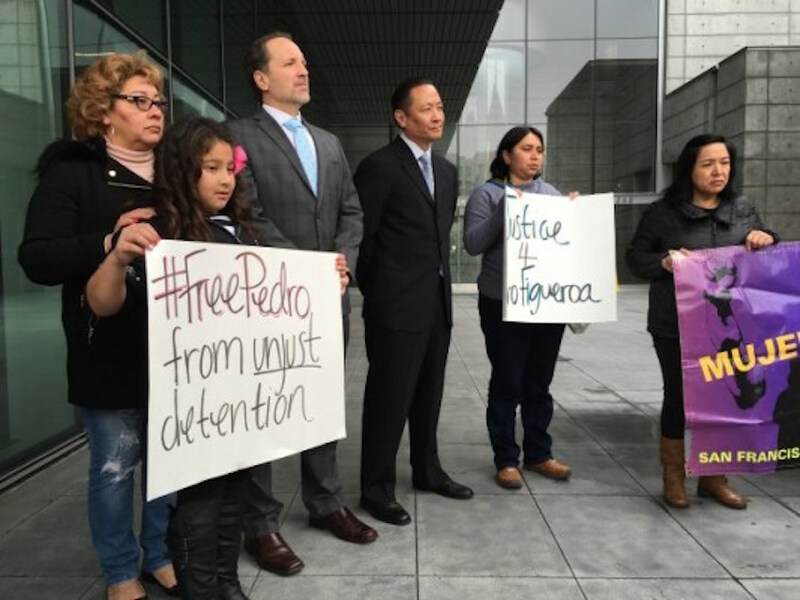 Ugarte estimates that between his team and the consortium of private immigration attorneys in the Bay Area, perhaps 50 percent of detainees in deportation proceedings are now represented. This is a figure that is simultaneously better than you’d think and worse than you’d hope. The dream of universal representation is both further along than it ever has been — and far, far from reality. His team, since last May, has taken on nearly 120 cases. That doesn’t sound like a lot, especially considering the ludicrous workloads public defenders routinely subject themselves to. But, Ugarte notes, you can’t really plea-bargain a deportation case. Just about everything is going to trial. And, in the meantime, the unit has thus far gotten 58 detainees out of stir and back with their families.